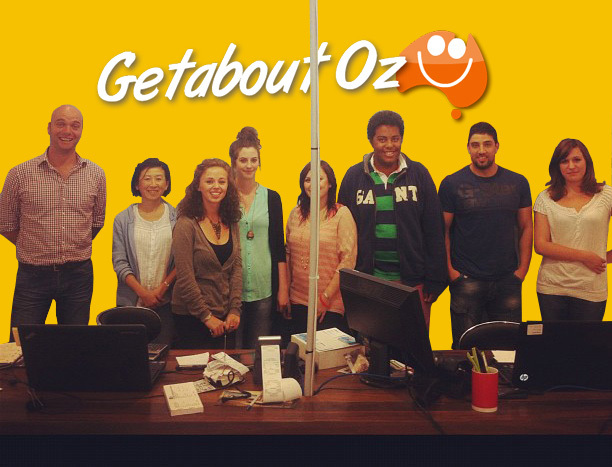 Get a quote from Getabout Oz! We work with +40 campervan, motorhome and 4x4 companies to get you the best deal on camper hire, motorhome hire, 4x4 hire and RV rental. If You Have Campervan Quotes Already Here's What To Do! (b) Get a better vehicle for the same or better price. To show us a price just forward any quotes to sales [at] getaboutoz.com. We'll then create an account for you on the site and your dedicated sales rep will work on your behalf. There are dozens of smaller motorhome suppliers in Australia. We are the only agency that works with them all! As we have been doing motorhomes for nearly 20 years we know their vehicles intimately. We even get our customers booking elsewhere and driving the vehicles into our shop in Sydney! Because we can source many alternative vehicles, the "Price Beat Guarantee" outlined above also applies to all motorhomes. Just send your quotes to sales@getaboutoz.com and we'll beat the price or beat the vehicle. From tropical Darwin to the Margaret River and Ningloo Reef, to Hobart and Adelaide beaches, to Fraser Island and the Gold Coast, South Austraia’s spectacular attractions, and more, create your own Australian holiday with our 4x4 camper rentals at GetAboutOz. There’s wonderful 4x4 action waiting for you! An offroad camper puts you in the heart of the great Australian outback, with all the amenities of home. Explore, eat, sleep, and enjoy Australia in a magnificent 4WD rental, that will put you on and off the road. A 4WD camper is great for an Australian holiday and offers all the capabilities and comforts, as well as, style to enjoy even the most rugged terrain. GetAboutOz knows all the distributors to find you the best suited 4x4 camper rental for your holiday. Just have a look at our definitive list of 4wd vehicles on our site, and get your quote today. Our 4x4 hire in Australia means you can enjoy the tough, rugged land of down under and the Great Outback without having to be on a road. The holiday itinerary can mean going almost anywhere, with little restrictions, in luxurious style. Explore the spectacular coastline, the grassy plains and the lush rainforest of Queensland in a 4WD camper hire. Perhaps, Rainbow Beach, Fraser Island, Carnarvon Gorge (which is a must see destination), or one of the many other wonderful areas of Australia that can only be reached in a 4x4, is the holiday itinerary perfect for you and your loved ones. At GetAboutOz, rent the 4WD camper of your liking to make your Australian holiday the most comfortable. Check out our list of 4 wheel drive options, or enter your details in the form above. We have an extensive list of suppliers to ensure our customers with a wide range of high end campervans to enjoy the off-road in style. Whether an itinerary for two or the entire family, we have the 4x4, with the space and capabilities to make sure your holiday one to be enjoyed. At GetAboutOz you can count on the RV rental vehicle you want, at the price you want! We have access to a wide range of RV companies, so we never let you down on your holiday. Safety and reliability is never compromised as we connect you to the widest range in RV and campervan rentals at the best prices in the industry. Get ready for that ideal itinerary as you explore the wonders of the Land Down Under. It's a full itinerary as you explore, cosy up, relax and enjoy yourself in your RV hire from GetAboutOz as you venture into the rugged land of Australia!